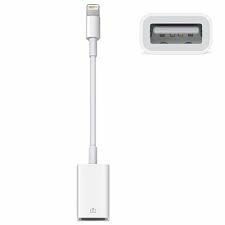 Earlier this month, Apple quietly released USB 3.0 Lightning to SD Card Reader for iPad Pro with backwards USB 2.0 compatibility for iPhones and other iPads. 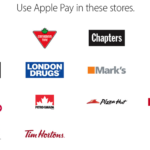 Today, the company has updated its USB Camera Adapter’s official page to add support for several iPhone models as well, which include the iPhone 5, 5c, 5s, 6, 6 Plus, 6s, and 6s Plus, as pointed out by 9to5Mac. 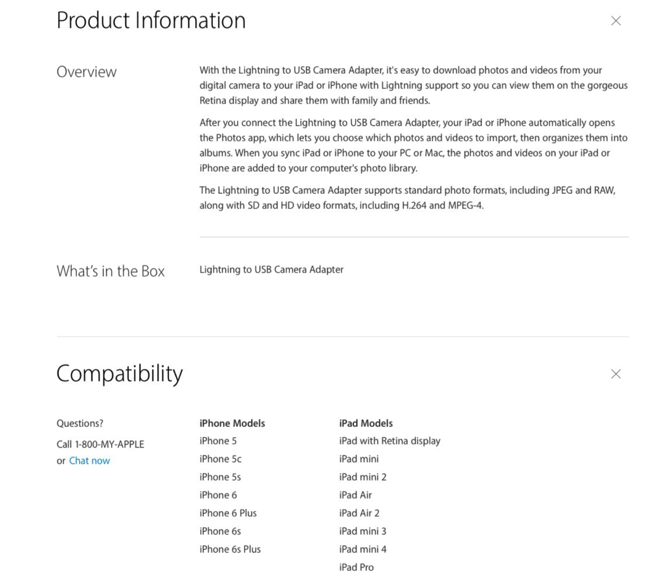 With the release of iOS 9.2, Apple did bring iPhone compatibility to both Lightning accessories but the USB Camera Adapter’s product page on the website was unchanged till today. The source notes that both the original model of USB Camera Adapter which carried a MD821ZM/A part number as well as the current one with MD821AM/A part number, are now fully compatible with the iPhones as well. There is however no USB 3.0 version of the USB Camera Adapter released yet for the iPad Pro but we assume Apple will be pushing one out pretty soon as well.